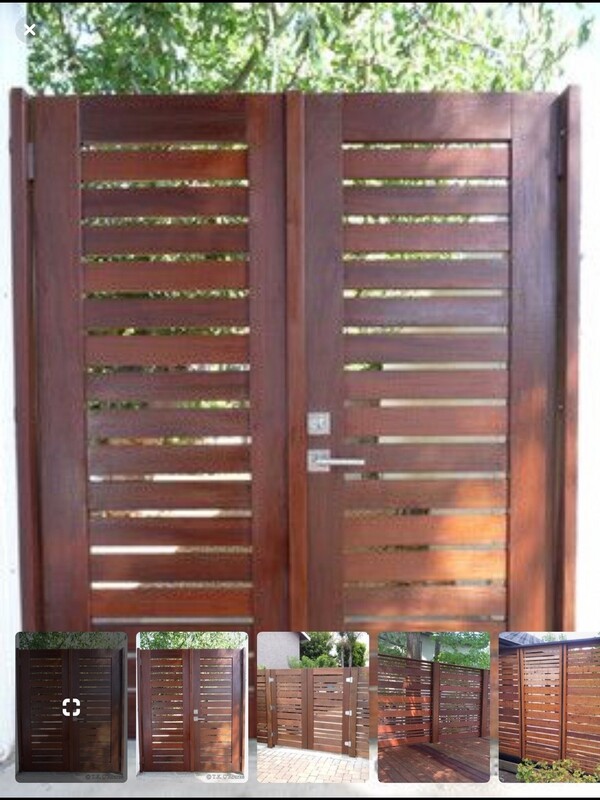 –As mentioned the PPG Timeless Wood Stain did show signs of fading but no peeling. Most of the fading and wearing was on the horizontal surface like the tops of the handrails and deck flooring. There were almost bare areas with no stain left in the high traffic sections of the deck. – It took 4 gallons total of PPG Timeless Deck Stain to coat the entire 600 square foot deck. The manufacturer claims 250-350 square feet per gallon but we experienced closer to 150-200 feet per gallon. – PPG Timeless Deck Stain plus Sealer provided an average mildew resistant coating and did an okay job at preventing fungal growth. – The PPG Timeless Stain was average to apply. We did a one-coat application using a stain pad and did not get great coverage. We did not notice any overlap marks when finished. – At the 2-year mark, we did notice some darkening due to mildew but the PPG Timeless Wood Stain did lighten up on 90% of the deck. – The PPG Timeless Stain + Sealant was average score overall. The stain did hold up fairly well except in high traffic areas and some mildew was present. We were not overly happy with the coverage rates and will have to strip the stain off prior to recoating to remove the mildew. How is this PPG stain different than the Olympic Elite Woodland Oil Stain? I live in Miami and trying to decide what to put on a brand new, pressure treated pine fence (see photo). I would like a warm cedar color (see photo). What color and type do you think I should choose: Olympic Transparent Woodland Oil, Olympic Semi-Transparent, PPG Transparent or Semi? are stains with Acrylic to be avoided? Nothing wrong with acrylics as long as it a higher end stain. 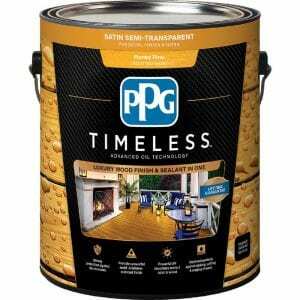 What is the difference between PPG Timeless and PPG Proluxe oil stains? I am told by several paint contractors and stores that Proluxe is the old Sikkens Cetol and that it is the gold standard for exotic hardwood, such as IPE which we will be using as a cap for a metal rail. On tests with scrap pieces I like the reddish hue and richness of the raw IPE when it is wet, and the Timeless finish more approximates that look than the Proluxe. But I wonder about it’s quality. How are the two PPG products different? Proluxe is the old Sikkens. Completely different formulas between the two. Actually, it stands for Pittsburgh Plate Glass. I was a painting contractor for 30 years and did many decks. This is one of the worst products I have ever used. It flowed on easily, but it was impossible to avoid lap marks, even doing one deck board at a time from end to end in 70 degrees in the shade. This new deck I built last summer looks terrible. I have never had this problem before with any other procduct. It is a nice color, but it is not even anywhere. I did clean the deck several weeks ago, and it is on new wood. I am going to try to sand the lap marks lightly to even them out, but next summer I will have to remove it all and use a different product. I cannot recommend this. You say you had to strip the stain due to fading in high traffic areas. We have the same problem. What do you recommend we use to do this? 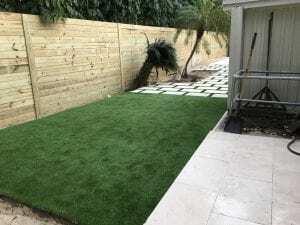 We used this product last year. It looked great. Afterbone year , it looked as though a herd of elephants had walked on our deck. The color was worn off in high traffic areas. I would NEVER use this again!